The TTABlog®: Test Your TTAB Judge-Ability: Is "MDF IT & Design" Primarily Geographically Descriptive of Furniture? 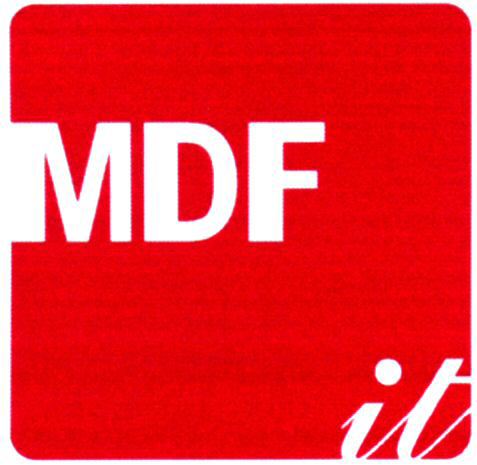 Test Your TTAB Judge-Ability: Is "MDF IT & Design" Primarily Geographically Descriptive of Furniture? The PTO issued a Section 2(e)(2) refusal of MDF IT & Design (shown below) for furniture, furniture fittings, and furniture catalogs [MDF disclaimed], on the ground that the mark is primarily geographically descriptive of the goods. Applicant appealed. The Board need only five pages for its opinion. How would you rule? In re MDF Italia SPA, Serial No. 79063250 (August 21, 2012) [not precedential]. The first prong of the test for geographical descriptiveness is this: the primary significance of the mark as it is used must be a generally known geographic place. Generally, a mark that has a well-known meaning independent from its geographical meaning does not meet the test. The Examining Attorney contended that the designation "IT" in applicant’s mark primarily denotes a geographic location: Italy. He noted that the disclaimed portion, MDF , is an acronym for the descriptive term "medium density fiberboard" and would be so recognized by consumers of Applicant’s goods. The Board, however, pointed out that "IT" has significant non-geographic meaning, one that is "reinforced by the manner in which IT is depicted in the mark, as lower case script letters." Even the Examining Attorney, in a non-final action, noted that “the mark, at first impression, can be read as the double entendre 'MDF IT', that is, use medium density fiberboard for the applicant’s goods, furniture." And so the Board reversed the refusal. TTABlog comment: I note that the letters "IT" are in an italic font. Italic? Italy? Get it? I think the Examining Attorney's earlier statement was the killer. Wow, as I was first reading your post, I asked myself, where in the world is MDF? The IT part appeared to me to be the pronoun, not an acronym for Italy. If you have to read the fine print to see the geographic connection, it isn't geographically descriptive. The Examining Attorney made that observation in a "Note to the File" (not an Office Action) when he withdrew the refusal, but the powers that be, in their infinite wisdom, made him re-instate the refusal. Hi John ., this statement is a killer too., your analogies make it more of a killer.